Interests:My family, computers, music, reading, ice cream, handbells, the Internet, Chinese Food, chocolate, watching ice skating competitions, napping, piano duets, Kindle, iPad...in no particular order. The original page is getting very slow loading, so I've moved my own posts to this newer blog. As always, anyone who wants to join me can share their blog URL with me and I'll add it to the links on the right side, so whenever a new post comes up, it will show up automatically. If the blogs are on WordPress, I try to reblog them all to get even more exposure on the blog, on Twitter and on Facebook at Cushings Help Organization, Inc. If you have photos, and you give me permission, I'll add them to the Pinterest page for Cushing's Help. 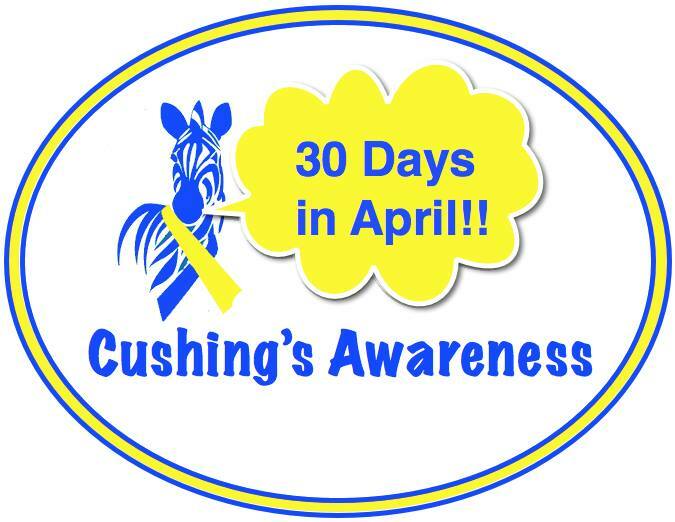 Since April 8 is Cushing’s Awareness Day, several people got their heads together to create the Eighth Annual Cushing’s Awareness Blogging Challenge. There will also be a logo for your blog to show you’ve participated.